A little more than a month after Rethink Robotics shut down, a competitor has hired more than 20 of the Boston-based firm’s former employees. Universal Robots, a Denmark-based maker of collaborative industrial robots, announced Tuesday it has brought on key Rethink personnel, primarily in engineering and product development. The hires include former Rethink chief operating officer Jim Lawton, who will serve as Universal’s vice president of product management and marketing, a spokesperson said in an e-mail to Xconomy. Universal, which already has a presence in Boston, will also take over Rethink’s former headquarters in the city’s Seaport neighborhood. Universal did not acquire any of Rethink’s technology assets, the spokesperson said. Rethink was started a decade ago by iRobot (NASDAQ: IRBT) co-founder Rodney Brooks. 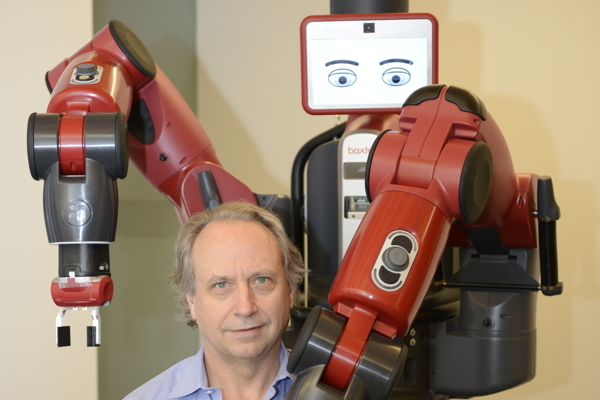 (He’s pictured below with Rethink’s Baxter robot.) The company developed robots with dexterity, vision, and learning abilities good enough to help them collaborate with factory workers in tasks like assembly and testing, the company has said. Rethink, formerly known as Heartland Robotics, raised more than $130 million in venture funding to commercialize the technology. 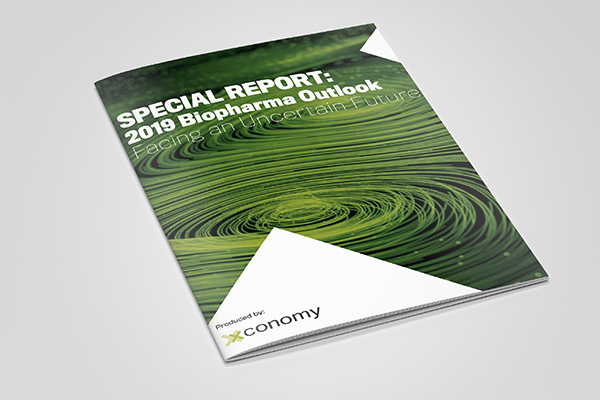 But as Xconomy has reported, one of Rethink’s adoption challenges has been making customers comfortable with integrating new types of robots into their production lines and processes. Now, Universal intends to capitalize on the expertise of its new hires in areas such as technology development and understanding market conditions and customers’ needs, said Universal president Jürgen von Hollen in a prepared statement. Unsurprisingly, his company is also making a push to entice Rethink customers to buy Universal’s products. 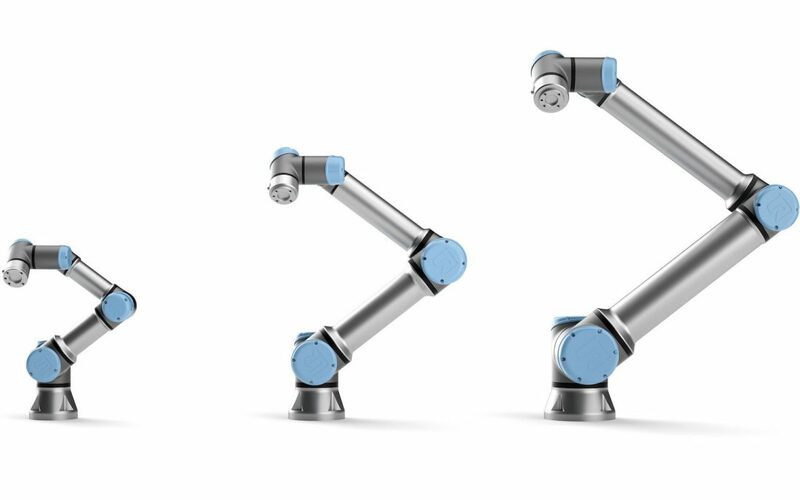 Those include robotic arms (pictured above), but, unlike Rethink, Universal doesn’t make sensors, grippers, or other accessories, instead choosing to make its arms compatible with robotic parts made by partner companies. Universal, which was acquired by Teradyne (NYSE: TER) for more than $285 million in 2015, generated $170 million in revenue last year, according to a press release.